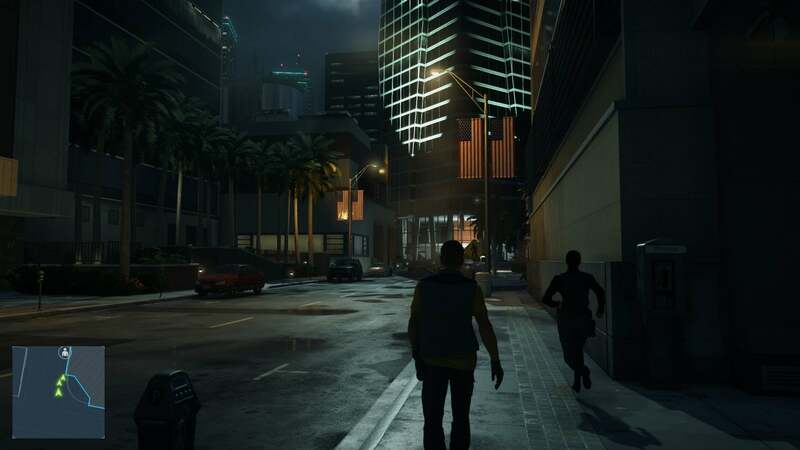 Battlefield Hardline, a cops vs. robbers spin on the military shoot 'em ups, actually shakes up the series' tried-and-true formula so much that it barely even feels like Battlefield anymore. A bit of bookkeeping up front: We were invited to attend a Battlefield Hardline review event at EA's offices in Redwood City last week, but as a rule we don't attend gaming review events. As such, we waited until we got a review code that I could play in the comfort of my own apartment. And we did get that code! Unfortunately, the PC multiplayer servers were deserted the entire weekend, so I have played 0.0 hours of review-ready Battlefield Hardline multiplayer (though you can read my beta impressions here). It's not really a huge deal because after the complete mess that was Battlefield 4 at launch, we wouldn't have felt comfortable slapping a score on this thing anyway until we saw how the servers held up. I did play Hardline's singleplayer campaign though, and I enjoyed it. Here are my thoughts, if you're interested in the solo side of the game. 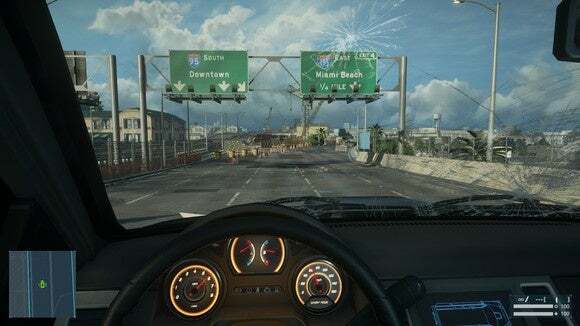 My biggest problem with the Hardline multiplayer beta was that it felt like scaled-back Battlefield. You can cover the military's olive drab with as much blue and black paint as you want, but at the end of the day Hardline's multiplayer still felt like I was storming compounds in Fallujah or at the very best reenacting the chaos of Call of Duty: Modern Warfare 3's US-invasion storyline. Just, you know, without tanks. Hardline's singleplayer campaign is an entirely different beast. 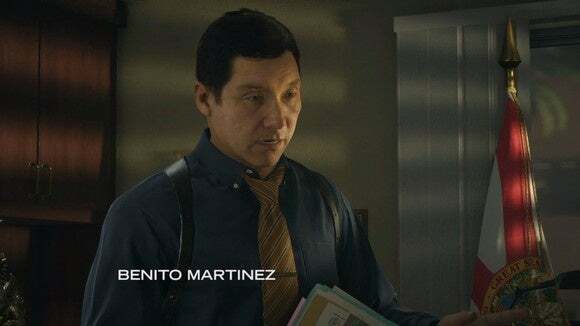 You play the part of Nick Mendoza, a rookie cop who lands in Miami's Vice department. Yes, like the TV show. And that's important, because Hardline is itself taking cues from TV. The entire campaign is set up like an episodic TV show, right down to a Netflix-style "Next Episode" overlay in between missions. 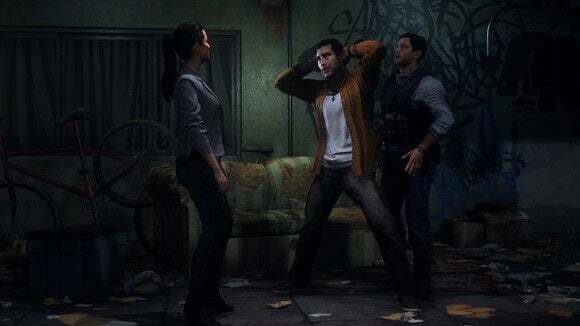 It's a clever conceit to an ever-so-slightly-clever game—probably the best (or at least most dedicated) use of the episodic format I've seen since Alan Wake's American Nightmare. Mendoza quickly discovers that not everything in his department is entirely on-the-level. A name keeps cropping up: Stoddard a.k.a. Sergeant Stoddard a.k.a. your former/temporary partner upon arriving in Vice. Stoddard is a brash hothead who's quick to go for his gun, but is he dirty? And is anyone else dirty? Look, it's not the greatest, most original police story ever told this side of The Thin Blue Line. It's not going to win awards for its amazing, prescient look at the state of the country's police force or anything along those lines. This isn't The Wire. This isn't Breaking Bad. "No way! The guy from House of Cards is in this?" But Hardline is fun. It nails the cop-show feel, with some great acting by Kelly Hu, Benito Martinez, Adam Harrington, and more people who you'll go "Oh wow, that's the guy from [insert TV show/movie here]." The characters here are two-dimensional archetypes, sure, but they're well-written archetypes. And honestly, well-acted too. It's crazy that when LA Noire launched, the facial tech in that game was so amazing for the time. 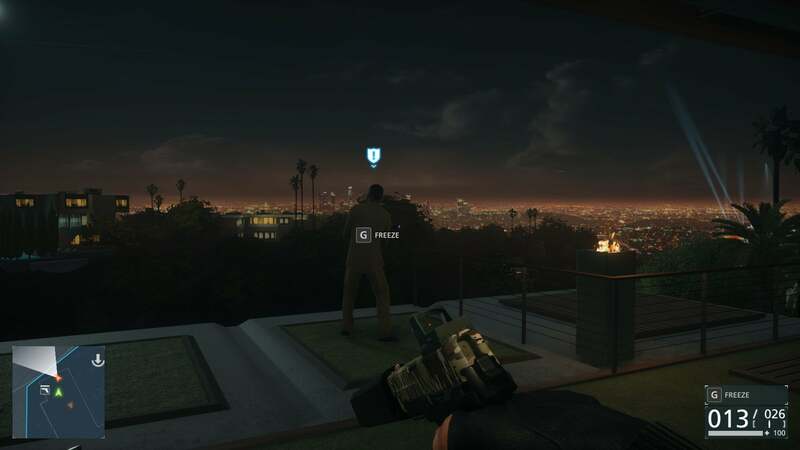 Now, regular ol' games like Hardline are hitting that same level of fidelity. I actually sent that last one to a friend who lives in Los Angeles, I was so excited. 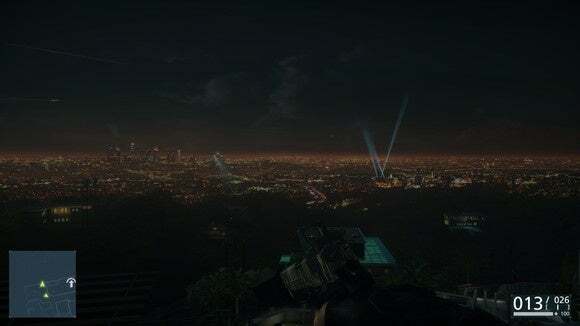 "Look, you can see downtown LA! And you can see Hollywood! And if you pan over you can see Santa Monica! And they're all in the right place!" I spent more time than I'm willing to admit just admiring backdrops in Hardline, be it downtown Miami or Los Angeles or a sunset over the Everglades. It's all beautiful. 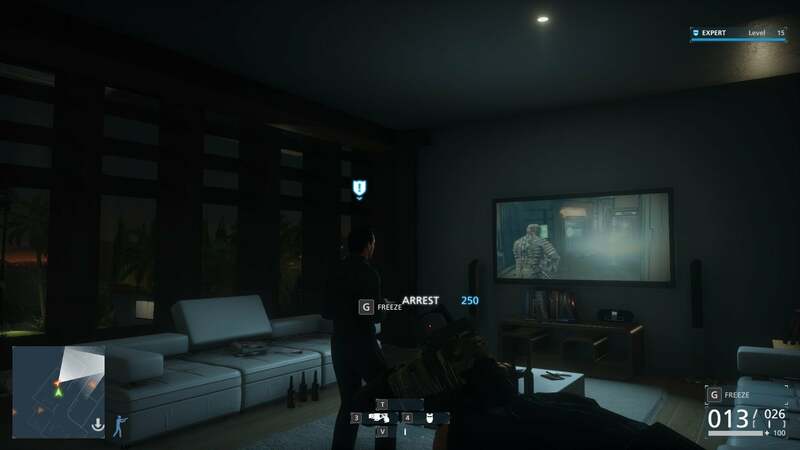 Which brings us to how Hardline plays. Honestly this is the most interesting part: It plays nothing like Battlefield. Or, at least, it doesn't have to. You could go into every level and just shoot everything that moves. In fact, I have no doubt a subset of people will play the campaign like they play normal Battlefield, and they'll go "This is dumb." And they'd be right, because Hardline is not built to be played as a shooter. You hear that? Battlefield Hardline's singleplayer campaign is not a shooter. If you play it as a shooter, I guarantee you'll be bored. Encounters often include just a handful of enemies. Even large encounters drop in two-dozen guys at most. This is not the non-stop slaughter you'd expect. Did I mention the game has a "Press E to pay respects" joke? And the game doesn't reward you for being quick with a gun either. 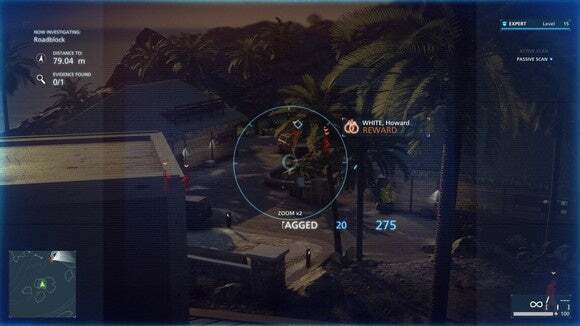 Over the course of the game you'll unlock new weapons and gadgets with your "Expert Rank," and the only way you accrue experience is through non-lethal action—either arrests, non-lethal melee takedowns, or taser stuns. 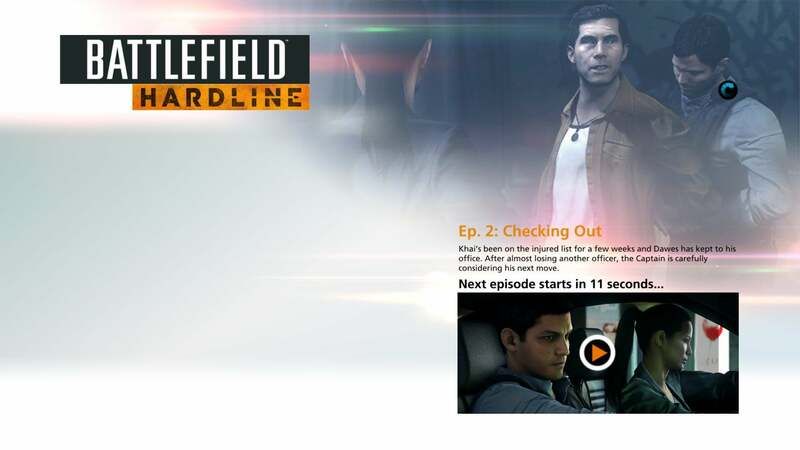 So the surprise is that Battlefield Hardline plays like a stealth game, in its optimum form. You can approach up to three enemies at a time, flash your badge to order them to freeze, then put each of them in handcuffs. If you're spotted while making an arrest, or just spotted sneaking around, the whole base goes on alert and it turns into a shootout, nullifying any experience you might gain from the area. It's an interesting mechanic that basically lets you play the game however you'd like, but clearly favors players who put in the effort to be a "Good Officer" and make arrests—similar to Deus Ex or Dishonored. I think I only got in two non-essential shootouts in the entire game, because I found the stealth side of things so much more satisfying. The whole "Do what you want" idea culminates in the last level, which is (I kid you not) Far Cry. 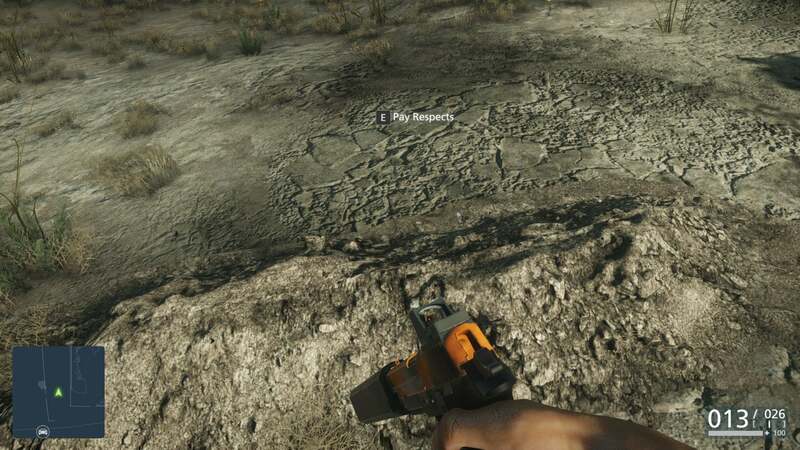 Or like very small Far Cry. You're on an island, there are enemy outposts, and you can either skirt around them entirely or go in stealthy and arrest the whole crew (with your apparently infinite supply of handcuffs) or just run in guns blazing and blow everything to bits. Another fun aspect is the evidence collection mechanic, used to solve Case Files. Each mission in Hardline has documents or other items scattered around that pertain to different backstory elements. It's not hard—your scanner will lead you right to each piece of evidence, if you just pay attention to it. It's definitely not as involved as even LA Noire's simplistic evidence-gathering. But it's a great, actually-interesting implementation of collectibles. I ended up snagging all of them. You know what? It's not at all what I was expecting from a game with Battlefield in the title, especially since the multiplayer side of things is so focused on shooting. Hardline's campaign is a great stealth-lite game packaged with the big-budget presentation of a prime-time TV show—including some incredible musical moments that rival anything Rockstar's done with Grand Theft Auto/Red Dead Redemption. It's a weird mix that for some reason worked perfectly on me, though I admit it's probably not for everyone. if you go into this wanting a Battlefield game? I guarantee you're probably going to come away disappointed. A shooter, this is not, and if you try to play it as a shooter you're going to find a pretty short, boring campaign. I'd urge you to give it a try though, and engage with it on its terms—especially if you're buying Hardline for the multiplayer component anyway. And that's not something I say about many shooter campaigns.